by Billy Hopkins | Literature & Fiction | This book has not been rated. A gift for BookCrossing. Thanks! 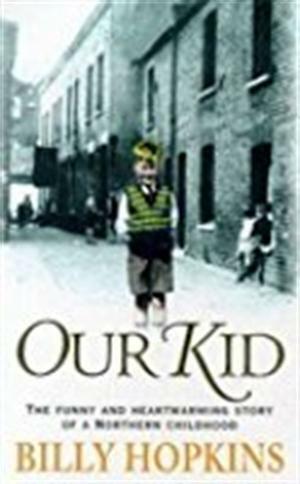 The much-loved tale of a northern lad during the Second World War. It was on a Sunday night in 1928 that Billy Hopkins made his first appearance. Billy's tenement home on the outskirts of Manchester would be considered a slum today, but he lived there happily with his large Catholic family, hatching money-making schemes with his many friends. When war came, and the Luftwaffe dominated the night sky, Billy was evacuated to Blackpool. There he lived on a starvation diet while his own rations went to feed his landlady's children - I might as well be in Strangeways! - But even the cruel blows that were to be dealt to the family on his return to Manchester would not destroy Billy's fighting spirit - or his sense of humour.